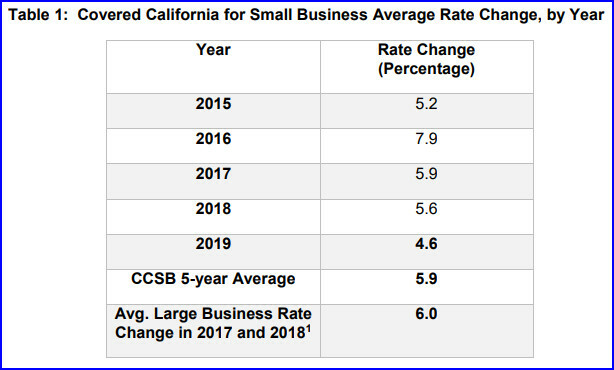 Covered California for Small Business announced rate and plan updates for January 1, 2019 effective dates. Rates are available for quoting! This year’s rate change of 4.6% is lower than the most recent year-over-year trend of 6% that larger employers are experiencing (see Table 1) and reduces the program’s five year average increase to 5.9%. See Covered California for Small Business's news release for complete details.